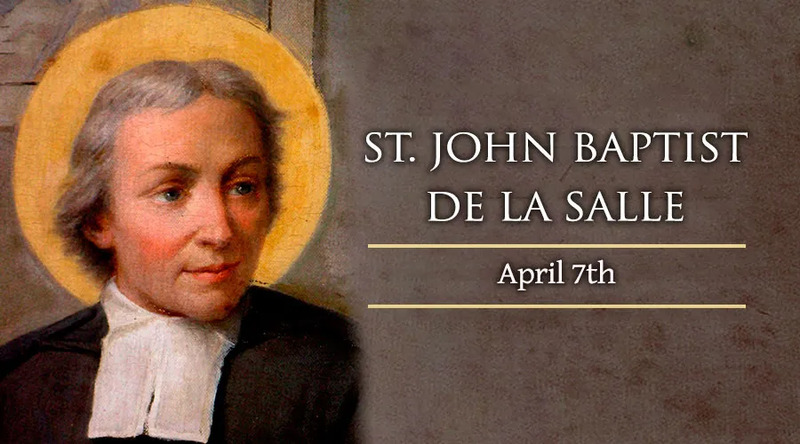 St. John Baptist de la Salle is known for promoting and reforming Christian education, especially amongst the poor. He is also the founder of the Institute of the Brothers of Christian Schools, which now teaches around the world. The French priest was one of the first pedagogues to emphasize classroom teaching in the vernacular instead of in Latin. He also founded three teachers' colleges and, in 1705, he established a reform school for boys at Dijon. John was born in Rheims, France to a noble family of 10 children on April 30, 1651. He studied in Paris and was ordained in 1678. He died at St. Yon, Rouen on Good Friday, April 7, 1751. He was canonized by Pope Leo XIII in 1900 and named patron of teachers by Pope Pius XII in 1950.